Founded in 1987, we are Gloucestershire’s leading independent letting agency. With 5 offices across the county we are specialists in lettings, property management and the investment market. Our 40+ strong team is our biggest asset – dedicated and enthusiastic staff who are committed to 'going the extra mile', and who each possess in-depth industry knowledge backed by professional qualifications. We’re not only members of ARLA, The Property Ombudsman and the Tenancy Deposit Scheme – a sure sign that you’re dealing with a reputable and respected agent and whatever your property and situation, you’re in very safe hands with us. 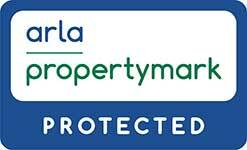 Our Managing Director is the ARLA Propertymark Regional Representative for all Letting agents across Gloucestershire, Bristol, Bath and N/NE Somerset. You really wont get more knowledge in a 90 mile radius. Why not check out our video library HERE, our youtube page not only lets you know a little bit about our fantastic team but also keeps you updated on many of the lettings legislation changes that we are experts on navigating through, try out the playlists and you can even subscribe to the page to keep up to date.